During this maintenance we've done the following. Fix new cash shop items & 3rd job headgears being buy-able by LPP, all users who have bought it using LPP have a period of 1 week to return it back and get their points back, otherwise it will be hard-removed from their accounts, please contact us on web support for a return.  Added costumes version for several head gears, full list at the end of the topic. Fixed a problem an exploit in Wizard Soul Link effect, no further information will be disclosed.